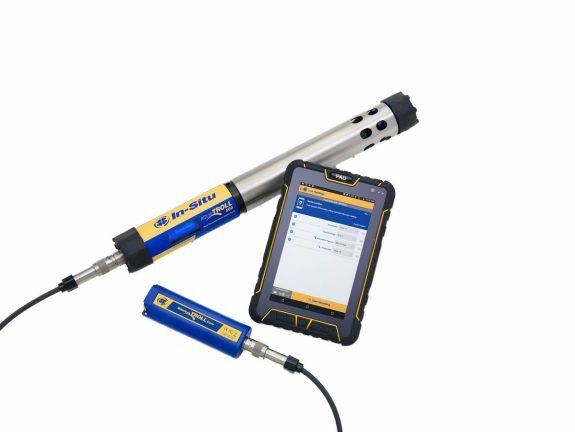 Whether you’re spot checking a tank or conducting long-term monitoring at remote sites, the In-Situ Aqua TROLL 500 has you covered. This cost-effective multi-probe enables wireless data collection when used as a handheld, plus easy integration with control systems and telemetry for long-term installation. With interchangeable sensors, the Aqua TROLL 500 replaces multiple instruments and saves time in the field to reduce overall monitoring costs. Highly stable sensors need minimal maintenance and calibration, giving you confidence in your data. Just plug the sonde into a Wireless TROLL Com, datalogger, control system or telemetry and you’re ready to go.